Bordered by the Indian Ocean's blue waters and sandy beaches on one side and the red and green landscape of the Kimberley wilderness on the other, Western Australia's Broome is a unique holiday destination. 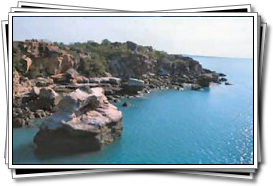 Broome was established in 1883 as a town for the newly developed port at Roebuck Bay. While other Australian cities are known for the gold rush days, Broome played host to adventurers seeking their fortune from pearling. In the three years between 1889 and 1891 the record high price of mother of pearl shell helped to establish Broome as a port and major pearling centre. Broome's flamboyant, varied and often dramatic history, and the many nationalities that have called it home, have shaped it into a city like no other in Australia. An ideal climate, stunning natural beauty, historic sights and charm, plenty of attractions, adventures and activities, and the full range of accommodations, shopping and dining make Broome an ideal destination for a family holiday, backpacker stop over or sun lover's retreat. Today Broome is known as the gateway to the Kimberley, a vast area of semi arid wilderness that attracts thousands of visitors each year. Although the Kimberley region has the fastest growing population in Australia, it still has fewer people per square kilometre than almost any other place on earth. This splendid solitude and the unspoiled vastness of the natural scenery make the Kimberley an outdoor adventurer's dream destination. 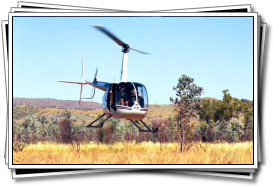 Care should be taken when visiting the Kimberley as proper preparation is required including extra water and first aid supplies. 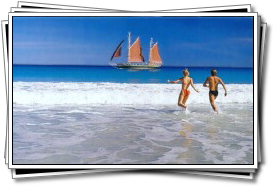 Broome has a tropical climate with hot and humid summers and warm winters. The wet season is from December to March and the dry season lasts from April to November. The average yearly rainfall is 532 mm usually with heavy rain falling in short periods. May and June when the weather is pleasantly warm and there is the least chance of tropical storms or high humidity.